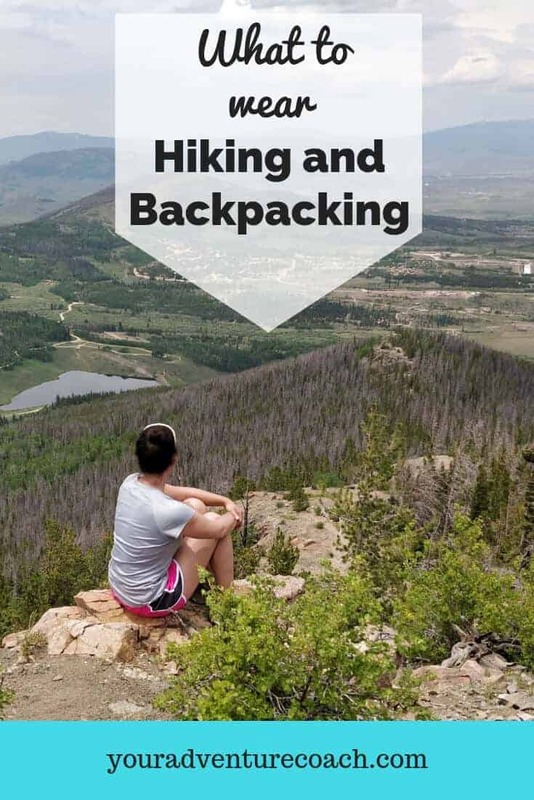 If you’re just getting started, it can be tricky to know what clothes to wear hiking. 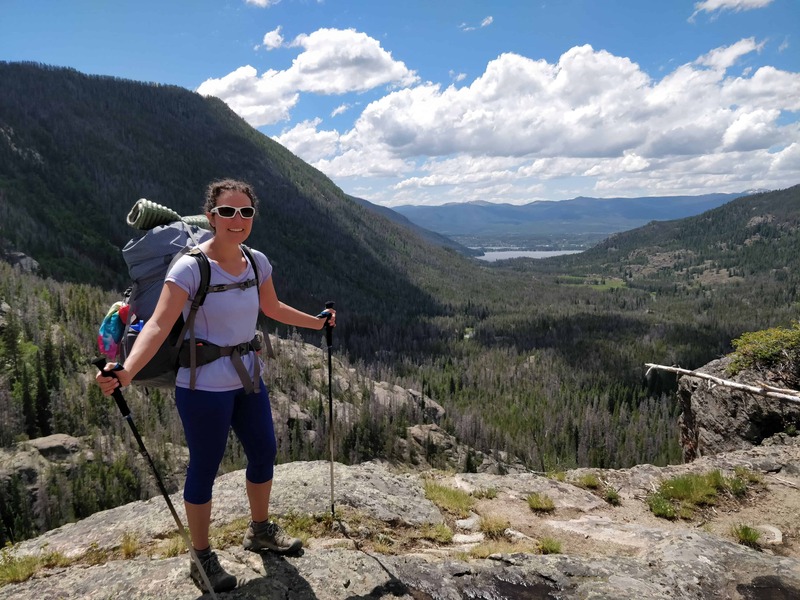 As more and more people head for the hills, more issues (and search and rescue missions) are starting to arise from hikers being horribly unprepared for the terrain or environment they’re hiking in. I’ll give you a quick starting point and obviously you may have to tweak this if you live in a either an extremely warm or extremely cold environment. Your best bet is to research, research, research. Check the weather ahead of time to make sure you’re prepared for the temperatures and any storms that may roll in. Gather information about the trail conditions to see if you’ll need crampons, snowshoes or technical climbing equipment. All the non-cotton clothes! Some examples of non-cotton materials are nylon, polyester, spandex, wool, silk, or any blend of the above. You’ll want to stick these synthetic materials on the trail to help keep you warm and relatively dry. Synthetic clothes will dry out way faster than cotton if you get rained on or accidentally fall into a creek and will also help you retain more body heat when wet than cotton would. One common complaint is that synthetic clothes hold on to body odor forever and always once you’ve really hiked and sweat in them, but honestly…. You’re hiking! You’re gonna be sweaty and smelly anyway, so, who cares? You’ll also want good rain gear or possibly a hard shell, insulated coat for cold/winter hiking. I also only bring one hiking outfit and one sleeping outfit for any given trip. Packing new clothes for each day is going to get real heavy, real quick! The only thing worth carrying duplicates of is socks – make sure you always have a dry pair of socks to sleep in, even if you’re ‘hiking’ pair gets wet, and possibly two pairs of underwear, so you can wear one and rinse/wash one, let it dry and then rotate them. Now, if you’ve followed me for any amount of time, you probably know I’m a huge fan of REI! I know I’m going to get quality products, great customer service and easy returns if I need to…. But even I can admit their prices are not always so great. Don’t get me wrong, for most outdoor gear I do believe you get what you pay for and you do want high quality gear that will work and last a long time, that usually comes at a higher price. 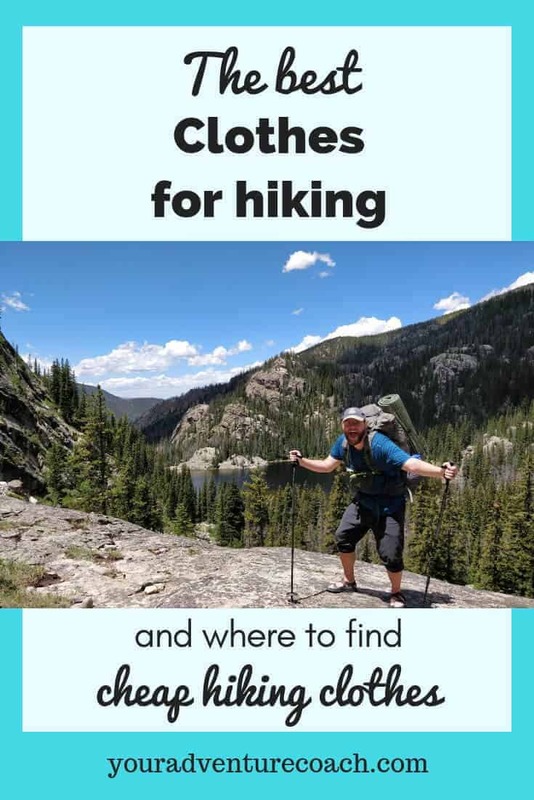 When it comes to hiking clothes, though, synthetic clothes are synthetic clothes are synthetic clothes, and usually you are just paying extra for a brand name, in my humble opinion. Just taking a glance – one women’s “hiking” shirt is $40-60 and “hiking” pants are even more! 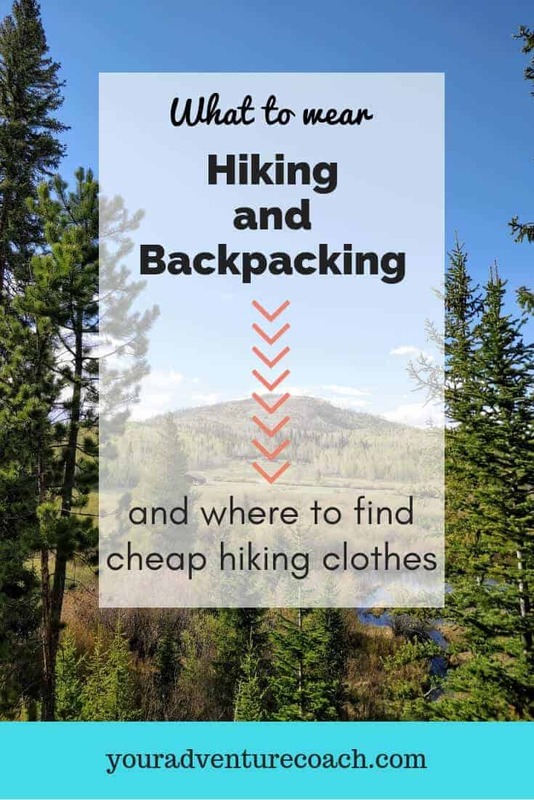 An easy way for new hikers to cut costs is to find cheap hiking clothes. 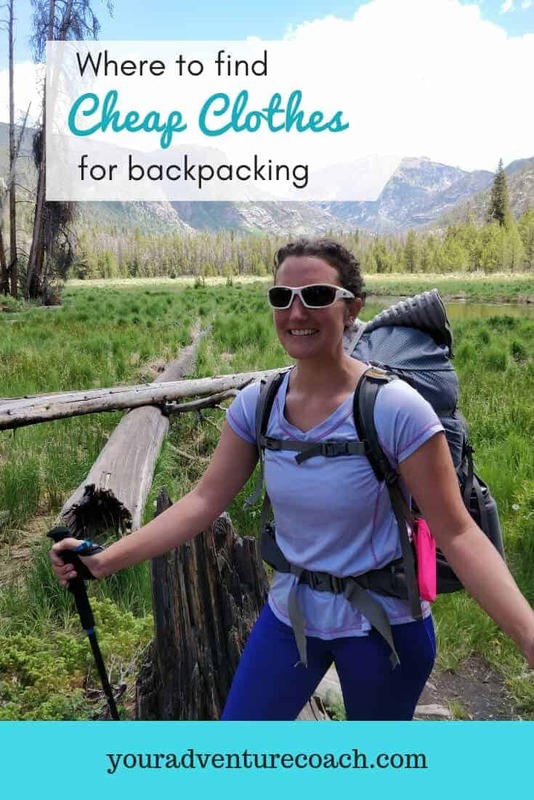 One disclaimer here: I only recommend cutting corners and discount shopping for your basic hiking clothes and base layers. If you’ll be going ice climbing or legit mountaineering, you’re probably going to have to invest some serious money into a good hard-shell jacket and pants to keep you protected from the harsh elements. More great places to check for synthetic clothes and base layers are at stores like TJMaxx, Marshall’s, or Ross in their active wear or athleisure departments. If you’re looking for puffy jackets and insulating layers – steepandcheap.com can be an awesome resource for you. 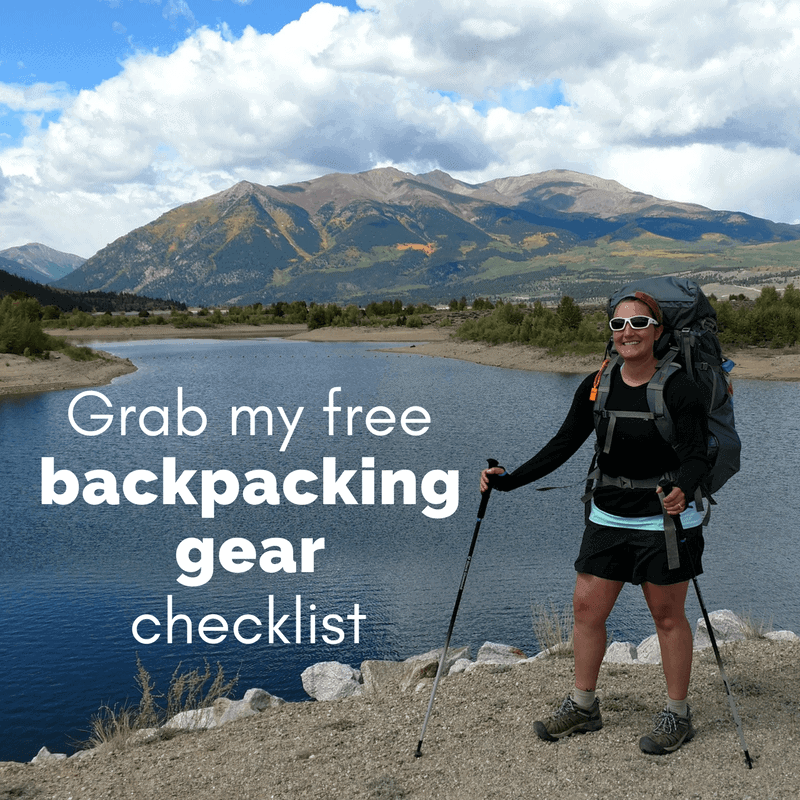 The cool thing about hiking is that you don’t need too much gear to get started, especially with day hiking, but I do want to make sure you have the clothes you need to stay warm and comfy out there. Let us know your favorite place to shop for hiking clothes in the comments below!